Omega-3 fatty acids are essential for your health. There are many omega-3 supplements available, all claiming to be the best. Trying to make sense of it all can be frustrating and confusing. Don’t do it alone; we can help. Check out this list of the five best omega 3 supplement for your health and wellness. Omega-3 Supplements: Should You Bother? The amount of omega-3 (often called fish-oil because of their source) supplements on the market is staggering. More options become available as people increasingly embrace wellness as a lifestyle and recognize the vital role omega-3 fatty acids play in our health. The increasing availability of omega-3 supplements is excellent, but it also makes choosing one quite overwhelming. To help you in your quest for a quality supplement, one that is an asset rather than a detriment to your health and your wallet, we’ve examined numerous products. We learned about omega-3 supplements. We read professional articles about omega-3 fatty acids and considered any brands and products referenced. We considered user reviews as well. We scrutinized the promises made by the manufacturers and crossed-referenced them with independent evaluations. We cherry-picked the best of the best, and we present our top five omega-3 supplements for your wellness. Here, starting with our top pick, are the best of omega-3 supplements. The Nordic Naturals brand is top—notch, a leader not merely in the supplement industry but in science and health as well. They are research-driven formulate their omega-3 supplements based on the latest, scientifically sound findings. In fact, their supplements are among those selected by universities like Harvard, Emory, and UCLA and cited in studies about omega-3 fatty acids supplements. 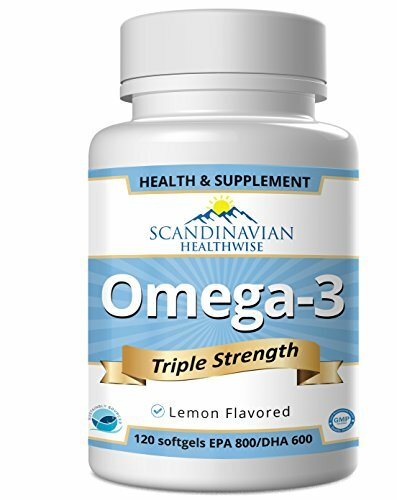 Nordic Naturals supplements contain both DHA and EPA fatty acids as well as others for a total of 1280 mg per capsule. Derived from wild-caught sardines and anchovies, they are pure, safe, and potent. Certificates of Analysis are available for every product for transparency and confidence. This isn’t a comprehensive list. It’s meant to illustrate the variety of product created by Nordic Naturals. The packaging tells you what the differences are and what the additions like vitamin D do for you. For the environmentally conscious among us, Nordic Naturals is responsible, sustainable, and planet-friendly. They’re Friend of the Sea certified, and their manufacturing process is sustainable. This is an added plus that helped rocket Nordic Naturals to the top. The highlight, of course, is the quality and effectiveness of Nordic Natural’s fish oil supplements. These deserve the number one position on our best of omega-3 supplements list. Take them in various forms (liquids, capsules, and gummies), and take them with confidence and good health. DHA and EPA are the most vital of all omega-3 fatty acids. Plant-based ALAs aren’t bad, but their benefits are limited. The system-wide benefits afforded by omega-3s come from DHA and EPA. Eha and EPA, in turn, come from fatty fish. Where does that leave you if you are vegetarian or vegan? Are you doomed to be deprived of the health enhancements that come from DHA and EPA omega-3s? Thanks to Ovega-3, you are not at all doomed. Ovega-3 is a vegetarian and vegan omega-3 supplement that supplies 500 mg of omega-3 acids, more than 80 percent of which are DHA and EPA. This is the only vegetarian and vegan supplement on the market today that can provide DHA and EPA from a natural source that isn’t fish. Yet, Ovega-3 is natural and pure rather than synthetic and full of additives. They took the phrase, “You are what you eat” and developed it. The fatty fish that we use to make fish oil supplements eat algae. Ovega-3 asked, “What if algae can directly give humans omega-3?” It turns out that they can. 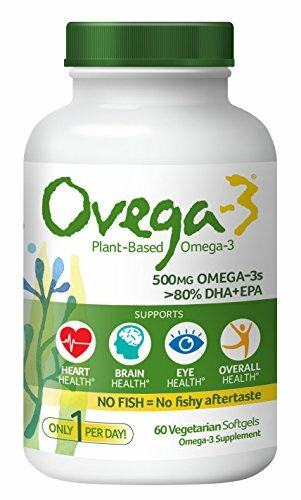 Vegan and vegetarians wanting a quality supplement that provides DHA and EPA might consider Ovega-3. Healthwise creates a supplement that rivals even Nordic Naturals and Omega-3 MD. Their supplements contain high levels of DHA and EPA, 600 mg and 800 mg, respectively. An important consideration in fish oil safety and effectiveness is its purity. This is where Healthwise truly excels. Their product is entirely natural, derived from fresh fish in clean waters. Their supplements are free of chemicals, synthetic ingredients, or fillers and additives. Healthwise Omega Fish Oil Advanced Support contributes to your health and active lifestyle with strong supplements whose ingredients only enhance your health, not harm it. OmegaVia’s supplements are potent. At 1105 mg in the standard OmegaVia Fish oil, they are among the most potent fish oil supplements available. Of the 1105 mg, 780 are EPA and 260 are DPA. 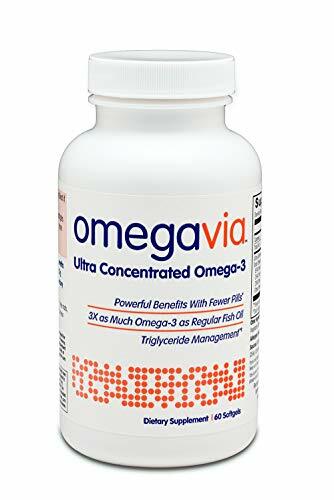 Other omega-3 fats comprise the remaining 65 mg.
OmegaVia is one of the supplement developers who makes varieties that are almost exclusively DHA or EPA Three varieties contain different amounts of DHA and EPA for those individuals who want primarily DHA or primarily EPA. If you are seeking a supplement that is one or the other, you cant go wrong with DHA or EPA from OmegaVia. Like the other top supplements, OmegaVia’s products are third-party tested to ensure that you are buying supplements that are pure and safe. One of the things we love about OmegaVia might seem a bit odd at first. It may seem strange that a supplement company would believe this, yet OmegaVia does: They make it known that supplements are merely supplements. They enhance (supplement), but they don’t usurp. Omega-3 supplements pick up our slack. When we can’t eat salmon, anchovies, mackerel, and other fatty fish on a twice-weekly basis, supplements step up to the plate to provide the fish oil that your brain and body need to function. 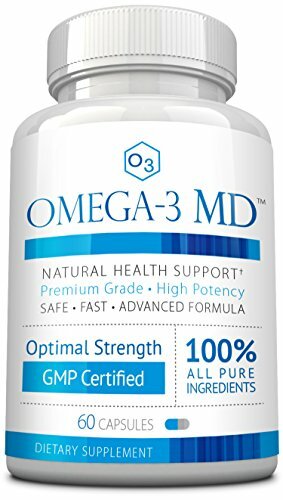 OmegaVia’s supplements will be there for you to boost your omega-3s potently and purely, but they don’t claim to be miracle=cures, nor do they want you to rely on pills for your healthy life. Neither greed nor charlatanism is part of OmegaVia. That’s a great supplement to their fish oil supplement. Omega-3s are polyunsaturated fats, fatty acids that are required for health, wellness, and vitality. Here’s the problem: The human body does not produce omega-3s (officially known as essential). We must get these nutrients from the foods we eat or, if we can’t eat enough of omega-3-rich foods, from supplements. Of the three, EPA and DHA are the most beneficial. They come from fatty fish like salmon, mackerel, anchovies, and tuna, which is why supplements derived from these sources are often called fish oil—they are fish oil. If you want omega-3s, chances are you’ll need a supplement. The Best Omega 3 Supplement: Should You Bother? For many people, supplements truly are the way to go to ensure adequate intake of vital DHA and EPA. Foods are almost always the best source of any nutrient, but we don’t always eat the right foods or foods in adequate quantities to supply the body with what it needs. Therefore, if you don't eat oily fish at least twice weekly, you might want to consider an omega-3 supplement. To help you in your quest, we studied such supplements to provide you with a short list of the best omega-3 supplements available. Hopefully, these supplements just discussed give you a positive start as you seek supplements. Perhaps you'll select one of these five. You can’t go wrong with any of them. But you might want to do some additional searching on your own. In that case, these guidelines can assist you in the ocean of choices. Look at the ingredients list. Is there a long train of words indicating fillers and chemicals? Third-party testing is important. It ensures that the products are potent, actually containing the omega-3s they claim. It also reduces the risks of toxins, chemicals, and other impurities. You want to increase your health, not make your body sick with mercury, PBC’s other pollutants. Always check the expiration date. Fish oil goes rancid. As you’ve learned, EPA and DHA are the crucial acids. They’re not the only ones, however. Be leery of products that claim a high number of omega-3s but don’t mention a breakdown of what they are. A product’s label might sound impressive. Perhaps it’s boasting over 1,000 mg of omega-3s. This doesn’t necessarily mean quality and potency, though. If the label doesn't state quantities of either EPA or DHA, quite likely the amounts are too small to matter. If a package does list the milligrams of each but the percentage compared to the total amount of Omega-3s, this means that the supplement is weak and possibly made with significant filler products. Is there such a thing as amounts of omega-3s that are too high? Do more fatty acids mean more benefits? Or can ingesting too much be ineffective at best or toxic at worse? Research is still studying and deliberating on this. 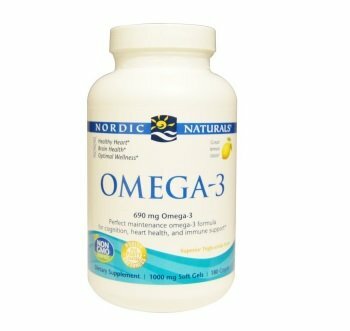 The US-based Global Organization for EPA and DHA Omega-3s (GOED) recommends 500 mg per day. Salmon, tuna, and other fatty fish have over 1,000 mg of omega-3s per serving. Only two servings per week are needed to reap the health benefits of omega-3s. There is currently no evidence that indicates that too much is ineffective or toxic. There's no evidence that states with certainty that the more omega-3s you get every day, the better your health will be. For now, aim for high-quality supplements that provide DHA and EPA omega-3s for a total of at least 500 mg per day. All of the above supplements are trustworthy, potent, and pure. In short, they’re an essential component of your healthy lifestyle. Now you have your choices for the best omega 3 supplement. What do you choose?